Lightly curried butternut soup topped with a coriander cream and served with a cheese straw. Paired with Stella Artois. Fillet of hake poached in milk and scented with cumin, with a dill yoghurt and micro herbs. Paired with Hansa. Litchi brutal fruit granita. Paired with Brutal Fruit Litchi. 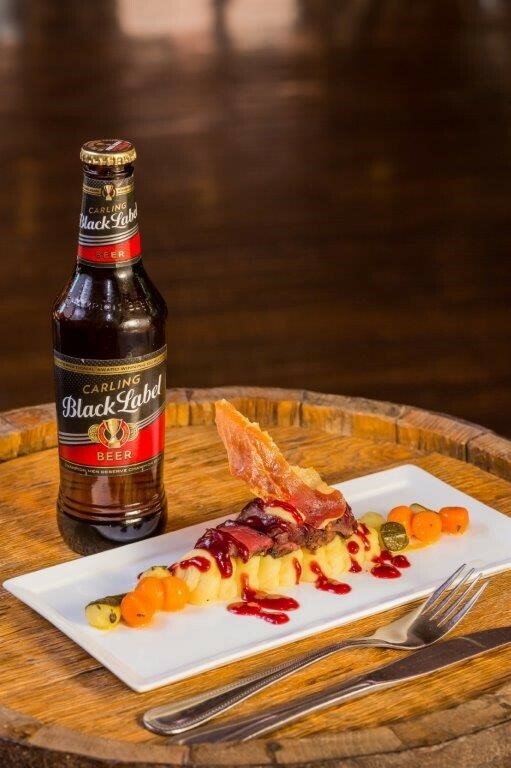 Peppered fillet of springbok carved on to a creamy mash potato, with Cumberland sauce, pearl vegetables and a pancetta crisp. Paired with Carling Black Label. A rich chocolate brownie with an espresso anglaise and a vanilla ice cream. Paired with Castle Milk Stout.